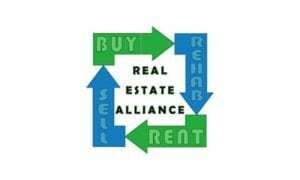 How Our Real Estate Alliance Benefits You! This service leverages the relationships that HTSI has developed over these past years for YOU! We have buyers who do all the legwork in locating discounted houses and multi-family properties for investors to purchase. We have construction vendors that can rehabilitate any investment property for you. And we have property managers who provide full service management services for your properties. Check out our Services page for more details. You can also e-mail us at property.htsi@gmail.com or call us at 864-395-6538. We have realtors who will work with you to sell your properties either retail or at a discount. In the market for discounted properties? Contact our buyer, Grant, at 864-978-9407. You can find reliable vendors that have worked with HTSI by calling our office at 864-395-6538. Do you have a property to sell? We have several options to speed up the process. Wholesale: We can pay cash for fixer-uppers. We make all the repairs and you can walk away! Call Grant and he will help you find a solution to sell your house quickly! 864-978-9407. Mortgages: Do you need a mortgage? We have several mortgage brokers in our network who can assist you. Stacy Mizzell with Guild Mortgage at 864-286-9496 or email her at smizzell@guildmortgage.net. You can also view her website here. Donald Beaman, Senior Loan Officer at PrimeLending, can be reached at 864-349-0160 or dbeaman@primelending.com. Caleb LeGrand is a certified mortgage planning specialist at Benchmark Home Loans. You can call him at 864-569-0741 or email him at clegrand@benchmark.us. His website is www.aloanwithcaleb.com. Self-Directed IRA Services: Do you want to invest your IRA in real estate? Call Sean McKay with American IRA at 828-257-4949 or email him at sean@americanira.com, www.AmericanIRA.com. The Houses & Then Some Realty Team is here for you! Our team is very qualified with years of experience to guide you in your next home purchase. Click here to meet the HTS Realty Team. ServPro Spartanburg – you’ll be in good hands in your time of stress when you contact Les Wolfe of ServPro Spartanburg. Don’t waste another minute of your time. If you have a house to sell or rent, call one of the numbers above and benefit today! Houses & Then Some Inc.
We service the greater Greenville and Spartanburg areas. Four things you can do to rent or sell your vacant house! When Should A Real Estate Investor Know When The Right Time Is To Hire A Property Management Company?